Taipei, July 24 (CNA) Taiwan declined an offer from China for assistance after the Wednesday night crash of a domestic flight that killed 48 of the 58 people on board, but extended its gratitude for the concern, the semi-official Straits Exchange Foundation (SEF) said Thursday. SEF's Chinese counterpart, the Beijing-based Association for Relations Across the Taiwan Straits (ARATS), sent a letter after the crash conveying Chinese President Xi Jinping's condolences and offering any assistance Taiwan might need. 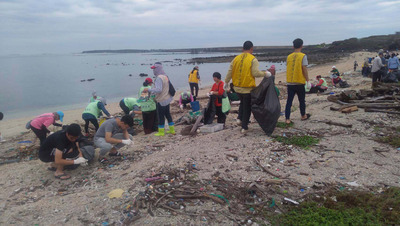 SEF responded, however, by saying that Taiwan's government agencies are already handling the crash, which took place on the outlying island county of Penghu. TransAsia Airways Flight 222 smashed into two homes near Magong airport in Penghu at 7:06 p.m. after requesting a second landing attempt. The plane crash, the rescue efforts and Xi's remarks after the crash were highlighted Thursday by Chinese media, making headline news and showing up in special reports. Xi said Wednesday during a Latin America tour that he was saddened to hear about the news and has asked the Chinese State Council's Taiwan Affairs Office to convey deep condolences on behalf of him and the Chinese people. Taiwan Affairs Office Minister Zhang Zhijun, China's top official in charge of relations with Taiwan, expressed condolences late Wednesday to his Taiwanese counterpart Wang Yu-chi, minister of the Mainland Affairs Council.